A senior Iranian official has warned European countries against playing into the hands of the United States and the Israeli regime as European signatories to the 2015 Iran nuclear deal propose fresh sanctions against Tehran under the pressure of Washington. 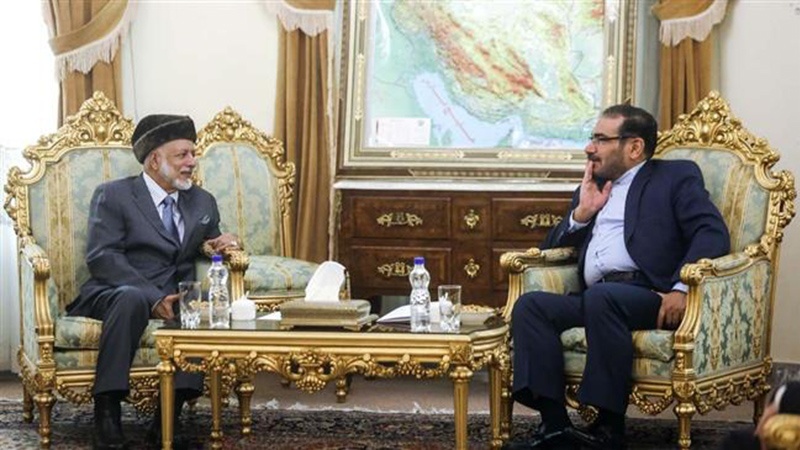 “Defense capabilities, particularly the missile program, of the Islamic Republic of Iran, which have a deterrent nature, will firmly be continued based on national security necessities,” Secretary of Iran’s Supreme National Security Council (SNSC) Ali Shamkhani said in a meeting with Oman’s Foreign Minister Yusuf bin Alawi in Tehran on Saturday, Press TV reported. “Political and media propaganda will have no impact on their development,” he added. Shamkhani said US failure to fulfill its obligations and its illegal approach to the JCPOA as well as Europe’s passivity with regard to Washington’s approaches clearly show that regional countries need to focus on finding a solution to the ongoing issues and crises in the region by themselves. “The Islamic Republic of Iran will give a proper and due response to the US constant violations of its commitments under the JCPOA and will accept no change, interpretation or new measure that would limit the JCPOA,” the SNSC secretary said. His comments came a day after Iranian Foreign Minister Mohammad Javad Zarif warned the US against the “painful mistake” of pulling out of the Iran nuclear agreement. “Considering what has been envisaged in the JCPOA in the field of research and development and the Islamic Republic of Iran’s continued measures to develop its peaceful nuclear capability, if the US makes the mistake of exiting the JCPOA, it will definitely be a painful mistake for the Americans,” Zarif told reporters. Elsewhere in his comments, Shamkhani said growing deep relations between Iran and Oman had led to consensus on regional issues. “The development of constructive and all-out relations with neighbors based on common interests is the top priority of the Islamic Republic of Iran’s foreign policy,” he added. The senior Iranian official lashed out at certain regional countries for adopting “a hasty and arrogant attitude and statements” which have posed serious challenges to the handling of regional crises. He expressed his concern about the killing of Yemeni women and children in airstrikes by Saudi Arabia and the United Arab Emirates as well as the catastrophic conditions of the oppressed Yemeni people. “The shared view of Iran and Oman on the Yemeni crisis is based on putting an immediate end to war, establishing ceasefire, lifting the blockade, dispatching humanitarian aid and holding Yemeni-Yemeni dialogue to form new political structures based on the Yemeni people’s demands and vote,” Shamkhani pointed out. He emphasized that the Yemeni crisis cannot be settled through military approaches and urged a political initiative in this regard. The Omani foreign minister, for his part, criticized military approaches to regional issues and urged the path of dialogue and understanding instead. He added that Oman regards Iran as a trustworthy neighboring country and commended the Islamic Republic’s role in establishing stability and security in the region. Bin Alawi arrived in Tehran Friday night on a two-day visit to hold talks with senior Iranian officials about mutual and regional issues.